COMEDK date announced - 2nd Feb, Detailed notification to follow - AcrossPG Exams! 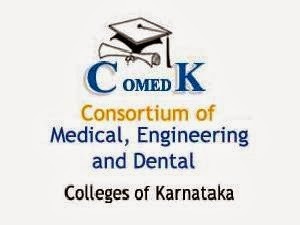 COMEDK PGET – 2014 Entrance Examination will be conducted on Sunday the 02nd February 2014 for admission to Postgraduate Medical and Dental courses in COMEDK Member Institutions. The Entrance Examination will be conducted in Bangalore City only. Candidates from all over the country can appear for the Entrance Examination as in previous years. Details regarding the Entrance Examination will be notified in due course. Candidates are required to check the COMEDK website (www.comedk.org) for regular updates.